Next Monday, May 1, is another public holiday in the UK – and the excellent Haynes Motor Museum, near Yeovil in Somerset, is holding a TVR Day. TVR Car Club members earn a considerable discount - £2.50 entrance fee, as opposed to the regular £7.50. John Hartshorne’s Peninsula TVR T400R will be the star of the show – although regular readers will know that this isn’t (as suggested by the Haynes press release) one of the TVRs that finished Le Mans in 2004. 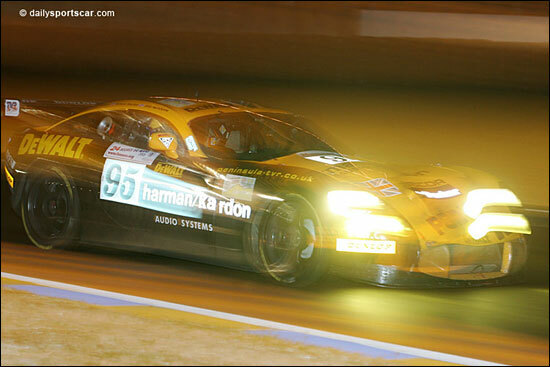 The black and yellow car raced at Le Mans in 2005. Hartshorne’s Peninsula TVR will be providing a line-up of the latest TVRs and Lotuses - including the TVR Tuscan Convertible, TVR Sagaris, Lotus Exige S, Lotus Elise 1 and Lotus Elise 11R. TVR and Lotus models, including the Peninsula TVR T400R, will be in action too – on the Haynes test track. There are 350 cars on display in the Haynes Museum.